Teen violin prodigy Cassie has been tiptoeing around her father, whose moods have become increasingly explosive. After he destroys her beloved and valuable violin, Cassie, shocked, runs away, eventually seeking refuge in a homeless shelter. She later learns that her father, a former violinist, was physically beaten as a child by her grandfather, a painful secret he’s kept hidden from his family, and the cause of his violent outbursts. With all of their lives shattered in some, Cassie’s family must struggle to repair their broken relationships. As Cassie moves forward, she ultimately finds a way to help others, having developed compassion through her own painful experiences. I literally just finished reading “Shattered” minutes ago. It was a very, VERY emotional read, I think especially for teenage girls. It explores the relationships that girls have with their parents, siblings, friends, and boyfriends. Any girl that is remotely a “Daddy’s Little Girl” will probably cringe slightly at times reading this book. But the emotions were intense. 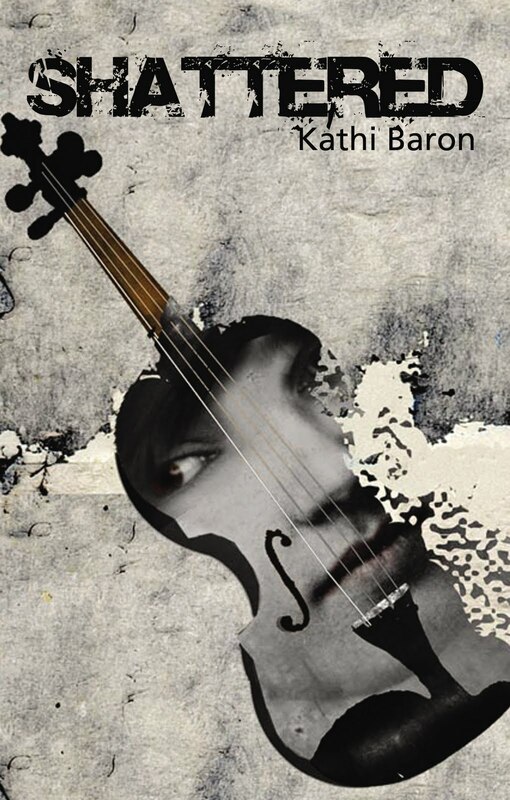 Baron wrote fluidly and very impressively, although at times the story did lag. I could have done without a few scenes, but overall the plot was decent. To be honest, the only reason I picked this book up and bought it was because it was about violins, and there was a huge violin on the cover. And I love violins… But I’m glad I did buy it. It was well worth the two hours it took to read it. Who I would recommend to: I would definitely put this book in the hands of any teenage girl. Especially ones that are having parental problems. This book really makes you think about your relationship with your own parents.